ISLAMABAD: The parliamentary committee formed to probe alleged rigging in 2018 general elections would hold its first meeting on November 6 at the Parliament House where it would elect its chairman. 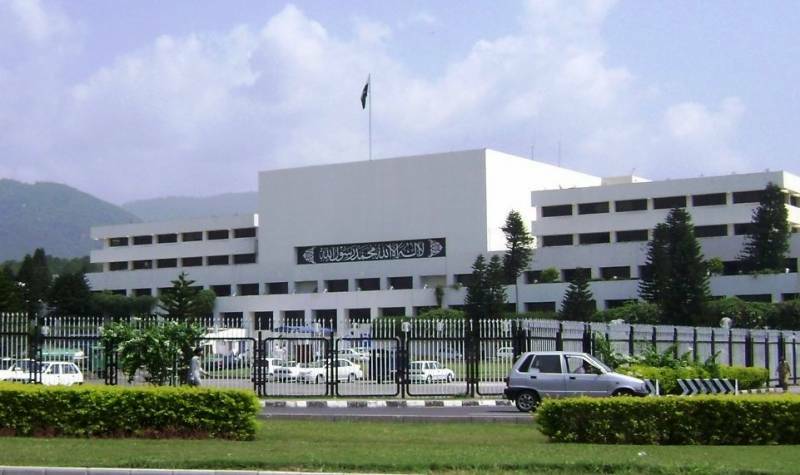 The National Assembly (NA) Secretariat has dispatched notices to all the members for their participation in the meeting. NA Speaker Asad Qaiser had constituted a 30-member parliamentary committee, comprising MNAs and senators, to probe alleged rigging in the 2018 general elections. The committee will review allegations of irregularities in the elections, finalise the Terms of Reference and take required measures to look into the rigging allegations, besides compiling its report within agreed time-frame and submitting before the house. The committee includes 15 lawmakers each from the government and the opposition parties. Headed by Minister for Defence Pervez Khattak, the committee consisted of members including, Shafqat Mehmood, Shireen Mazari, Fawad Chaudhry, Tariq Bashir Cheema, Azam Swati, Amir Dogar, Khalid Magsi, Akhtar Mengal, Ameenul Haq, Ghous Bakhsh Mehr, Ayaz Sadiq, Rana Tanveer, Ahsan Iqbal, Murtaza Javed Abbasi, Rana Sanaullah, Raja Pervez Ashraf, Khursheed Shah, Naveed Qamar, Ameer Haider Hoti, Maulana Abdul Wasay, Maulana Abdul Ghafoor Haideri, Mohammad Ali Saif, Sarfraz Bugti, Nauman Wazir, Hidayatullah, Javed Abbasi, Asad Junejo, Usman Kakar and Rehman Malik.